Sennheiser is one of those staple audiophile companies. 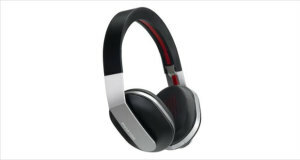 While their lower end models are not really the best of the lot, they really shine in the luxury audiophile category, making some of the best noise cancelling headphones to boot. They have a reputation of asking quite a bit of money for their best offerings, but as they say – if you do something well, never do it for free or cheap! The Sennheiser HD 650 headphones are one of those “done well” headphones that do not come for cheap. But pay that premium price and what you have in your hands is one of the best over ear headphones available for the right kind of customer. 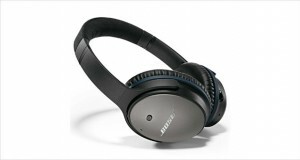 Premium look and feel, while also delivering incredible performance and comfortable to boot – these are the best headphones money can buy in the $400-600 range. The highs are engrossing with clear note differentials, while the mids are enveloping and full of life, while the bass shines with its whooping and rumbling. The only complaint about these extremely fine pair of headphones is that they are slightly heavy and not made for portability. But you knew that already, right? 10-39,500 Hz frequency response – unprecedented bass response! With the luxurious feel of a high end system and the bulk of that to boot, the Sennhesier HD 650 headphones certainly look the part of audiophile headphones. The titanium-silver design along with the open back style looks and feels gorgeous. 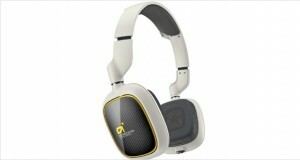 These are top notch headphones. Dimensions12.4 x 10 x 4.3"
Solidly built with a thickly padded headband and ear cushions, all-metal construction with a good measure of acoustic silk thrown in for added appeal. They look like they can take a bashing, but why would you want to do that to these beautiful ‘phones? The headband, the ear cushions and the open back dynamic make sure that you feel as comfortable as a kitten in a cozy place with these on your head. No sweat, soft-but-firm fit ensures that you can do all the work you want to with these on with very little stress. A laid back and chirpy high that makes you appreciate the nuances rather than just wait for the tweeter to blare its music. Rich, enveloped vocals that make it seem like the singer is right in front of you if you close your eyes. Booming, whooping and deep bass that makes you want to jump and dance. These are seriously powerful where bass is concerned. Open back design leaks in quite a bit of sound, but you will not be using these outside your home anyway. Excellent performance that is completely fitting for its price. 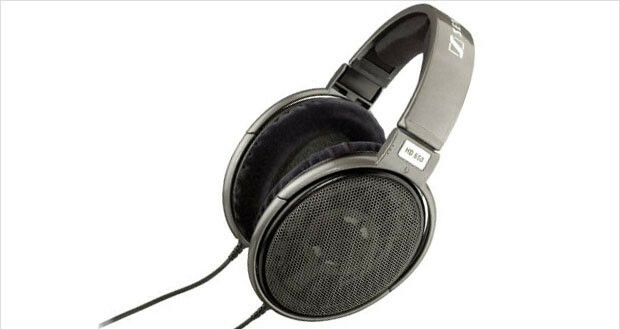 The Sennheiser HD 650 headphones are one of those quality reference headphones that will serve you for years to come. Do not expect your puny MP3 player to power its beefy innards, though – its intended for use with home theatre systems or at least with a powerful DAC + Amplifier like the FiiO E17 for maximum output. But if you do have the money and want an excellent pair of headphones you will not go wrong with these; you will burn quite a bit of a hole in your pocket however.